1000 mg of Magtein® ,the only type of magnesium that has been scientifically shown to significantly raise magnesium levels in the brain. Obs! The images of the product will be updated once we have the Altrient brand image. Bildet av produktet vil bli oppdatert så snart vi får dem fra Altrient. Ingredients: Purified Water, Lecithin Phospholipids (soya), Magnesium L-Threonate, Preservative: Grain Alcohol (ethanol), Thickening Agent: Xanthan Gum. Liposomal Encapsulation Technology (LET) is a cutting-edge delivery system that ensures Altrient products deliver maximised absorption. LET is our proprietary dosing system, a remarkable technology chosen specifically to surround, protect and enhance our nutrient formulas. Altrient has taken the power of LET out of the laboratory and put it into your hands. Liposomes have unique properties that can improve the performance of products by increasing ingredient solubility, improving bioavailability and enhancing intracellular uptake.The liposomes themselves are tiny artificially prepared liquid filled bubbles made up of a double layer of non-toxic phospholipids. Phospholipids consist of a hydrophilic (or 'water loving') head and a hydrophobic (or 'water fearing') tail. When phospholipids find themselves in a water-based solution, the hydrophobic tail rapidly moves itself away from the liquid – just as oil separates from vinegar. They spontaneously arrange themselves into two parallel layers and form spherical structures. The resulting liposome has amphiphilic properties which means it can incorporate and release both water soluble and fat soluble components simultaneously, whilst maintaining a protective barrier around its biologically active ingredients. The bilayer structure of a liposome is nearly identical to the construction of the cell membrane that surrounds each cell in the human body. Over 50 years ago, researchers discovered that these liposomal spheres could be filled with nutrients, and used to protect and deliver therapeutically active compounds into the body – even to specific cell sites. The beauty of Liposomal Encapsulation Technology lies in the unique composition of phospholipids, which are the primary building blocks of cellular membranes. The beauty of Liposomal Encapsulation Technology lies in the unique composition of phospholipids, which are the primary building blocks of cellular membranes. These membranes are the ‘containers’ that hold the living matter within each cell. They also give definition, shape and protection to many of the organelles within our cells such as the nucleus and mitochondria. In addition to functioning as a selective barrier for each cell – phospholipid membranes provide protection for chemicals and pathogens that can derail and destroy the necessary life functions that take place within each cell. While performing this function, phospholipid membranes are subject to constant attack from free radicals, pathogens and toxins. Without question, LET is the most effective method of delivering nutrients orally. It’s why Altrient products are the best nutritional supplements of their kind in the world. Nothing else comes close! In order to repair the structural damage caused by a continual barrage of toxic substances and pathogens, your body requires a constant supply of phospholipids. Whilst humans can synthesise some phospholipid compounds others must be sourced from food. Phospholipids that can only be obtained from the diet are called ‘essential phospholipids’. The liposomes used in Altrient products are made from essential phospholipids that include a high percentage of Phosphatidylcholine (PC). These liposomes not only provide optimum protection and superior transport, they also satisfy the body’s need for PC, omega-6 fatty acids and choline. Now Altrient has taken the power of LET out of the laboratory and put it into your hands. Without question, LET is the most effective method of delivering nutrients orally. It’s why Altrient products are the best nutritional supplements of their kind in the world. Nothing else comes close! 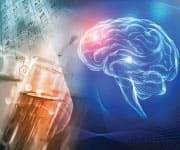 MIT researchers discovered and patented magnesium L-threonate based on its unique ability to boost brainlevels of magnesium. The most startling finding is a reversal of more than nine years in clinical measures of brain aging in people who supplemented with magnesium L-threonate. In this multi-center study, participants were randomly assigned to receive placebo or magnesium L-threonate in the dose of 1,500-2,000 mg each day (depending on body weight) for 12 weeks. 1. MgT improved body magnesium status. After 12 weeks researchers found significant increases in red blood-cell concentration and in urinary excretion of magnesium in the treated group.1 Increased urinary excretion indicates that large amounts of magnesium have been absorbed, while increased levels in red blood cells show high circulating levels of magnesium in the body. 2. MgT improved cognitive abilities. 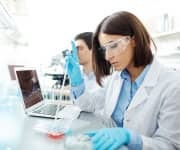 Using a test of visual attention and task switching, researchers saw significant increases in performance speed for executive function and cognitive processing. These benefits appeared as early as week six on some of the tests.1 Most tellingly, the overall composite scores for all tests of the MgT-supplemented group increased significantly compared with baseline scores and with those of placebo recipients at weeks six and 12. 4. MgT reversed clinical measures of brain aging. This is a significant finding, which we’ll explain in more detail in the next section. A new human study using a unique, highly-available form of magnesium, magnesium-L-threonate, or MgT, shows that 12-week administration not only boosts performance on individual cognitive tests, but also reverses brain aging by more than nine years in older adults with cognitive impairment. Our brains shrink as we age, victims of steady declines in the numbers and functions of our brain cells and their cerebral “switchboards” known as synapses. Loss of those synapses is currently the best predictor of cognitive decline, the slowing and wandering of our wits as we age. Scientists now believe that preventing the loss of synapses, and promoting their density, has incredible potential for preventing cognitive decline. Animal studies confirm that MgT has remarkable capacity to promote new synapse formation and enhance plasticity in ways that preserve youthful brain function. We only get one brain apiece to last our entire lives – MgT supplementation appears to be indispensable in preserving our best brain function.